Suburban Cook County voters may now apply for mail ballots for the March 20, 2018 Gubernatorial Primary Election, Cook County Clerk David Orr announced Wednesday. 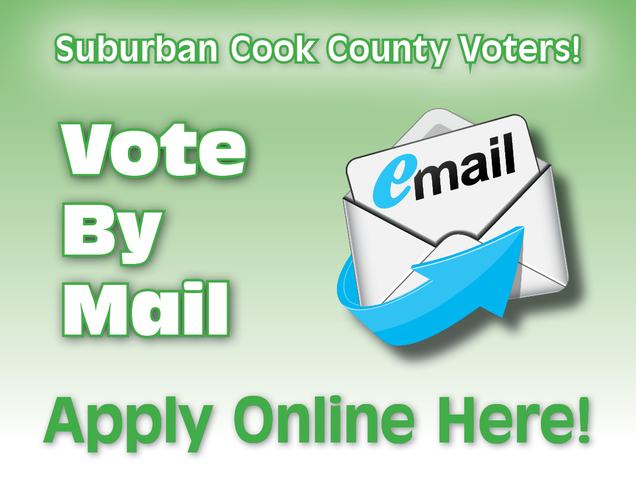 Any registered suburban Cook County voter may request a mail ballot using the online application at cookcountyclerk.com/VoteByMail. Ballots will be mailed beginning in early March. Suburban Cook voters cast 31,409 ballots by mail in the March 2016 Presidential Primary – an election where nearly 80 percent of all mail ballot requests came through the use of the Clerk’s online request tool. The deadline to apply for a mail ballot is March 15. Ballots must be postmarked no later than Election Day, March 20, and received at the Cook County Clerk’s office within 14 days of Election Day. The mail ballot application can be completed on either computers or smartphones/tablets. Illinois driver’s license or state identification number. The address where you would like your ballot mailed. The virtual mail ballot application is also available in Spanish, Hindi and Chinese, per the requirements of the Federal Voting Rights Act. After clicking “Apply,” voters may select their preferred language for the application and may request the same for their ballot. However, not all ballot styles are available in every precinct. While applications will be accepted online, ballots must be delivered by U.S. mail and cannot be distributed or received electronically. An exception is allowed for overseas voters and members of the military. Voters whose registration does not currently include their driver’s license/state ID and/or Social Security Number may need to contact our office to update their registration before using the online application. Voters may also download, print and sign a paper application and send it to: Cook County Clerk’s office, Mail Voting Unit, 69 W. Washington St., Room 500, Chicago, IL 60602. Suburban Cook County voters can always check their voter registration status and other voter information at cookcountyclerk.com/VoterInfo. Suburban Cook County Voters with questions should contact the Clerk’s Mail Voting team at 312.603.0946 or mail.voting@cookcountyil.gov.